Dimethicone, C9-12 Alkaline, Dimethiconol, Butyrospermum Parkii (Shea) Oil, Fragrance (Parfum), Gossypium Herbaceum (Cotton) Seed Oil, Moringa Oleifera Seed Oil, Passiflora Incarnata Seed Oil, Tocopherol, Hydrogenated Soybean Oil, Limonene, Citral, Eugenol, Linalool. 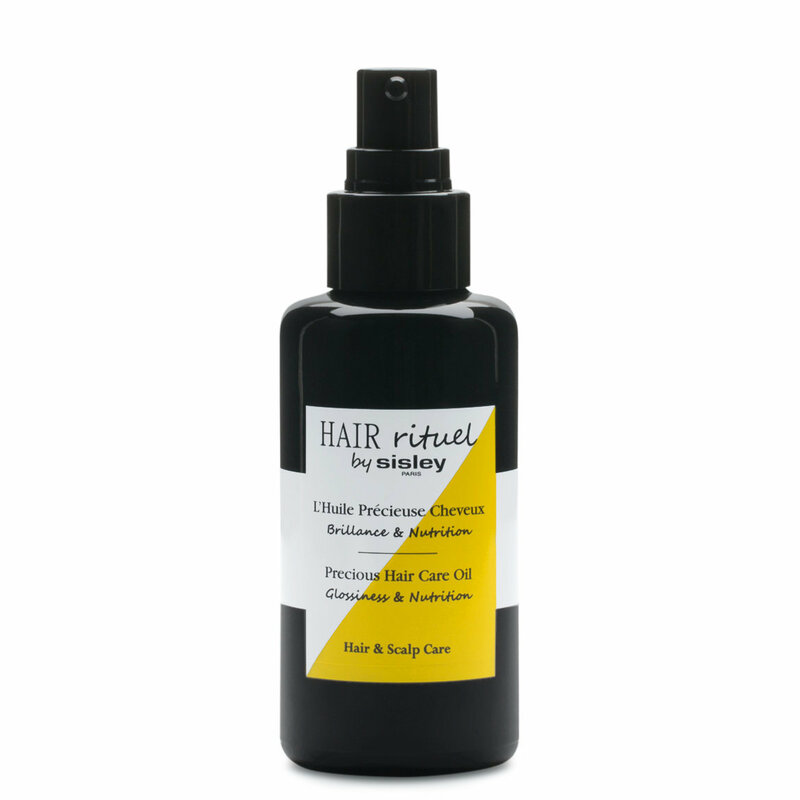 The Precious Hair Care Oil provides nutrition, radiance, and softness to the hair. A blend of Passion Fruit oil, Shea oil, Cotton oil and Moringa oil, smooth and envelope the hair to bounce light across the fiber and create shine light texture that will not weigh hair down. Passion Fruit, Shea, Cotton and Moringa oils: nourish and increase the brilliance of hair. Have a question about Sisley-Paris Precious Hair Care Oil?